Takahama was one of Ashirogi Muto's assistants, along with Ogawa and Kato, for Detective Trap. He did the figures, both sketches, and inks. Miura said he was the best artist of the new assistants he was in charge of. Originally, Takahama seemed very unsocial and didn't talk much at all. However, after coming to respect Mashiro's work ethic as a mangaka, he reveals his ambition to work at Disney and spends several nights discussing manga with Mashiro and Takagi. He seems to be very enthusiastic about his manga, and grows frustrated with Miura after he feels that he is not letting him make the manga he wants. He respects people for their ambition and work ethic, as shown when he states that he has little in common with Ogawa and Kato because they are just happy with being assistants. Later on, he get his own manga, "Business Boy Kenichi" (Seigi no Mikata), which centers around solving legal cases. He eventually makes his way to the single-digit rankings, garnering only a few votes below or above of Ashirogi Muto several times over the course of his manga career and becoming a major character in the series. 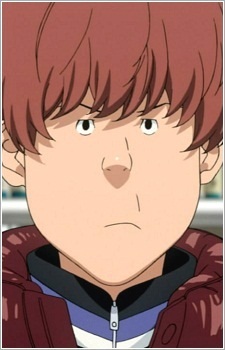 Eventually, he, too, joins Team Fukuda. When Niizuma announced his intentions to end Crow, Takahama is among the mangaka to oppose him. Takahama tries to prevent Niizuma from ending Crow by writing a captivating court case in his manga where a close friend of the main character is placed under false charges and the main character must prove his innocence. Takahama only manages to land second place, however, but expresses optimism at getting second place for the first time.